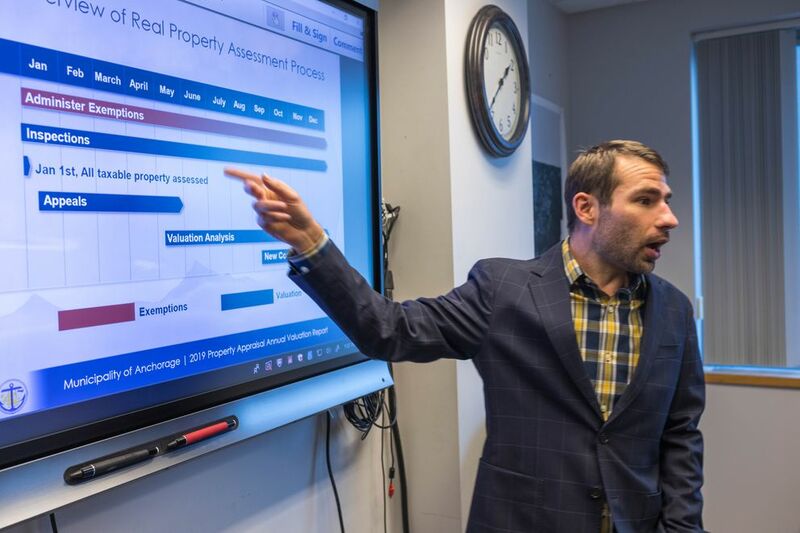 Anchorage property values increased slightly overall in 2018, though a few hundred homeowners may be looking at a lower home value because of damage caused by the Nov. 30 earthquake and its aftershocks, city assessors say. About a week ago, the Anchorage property-tax appraisal office began mailing tens of thousands of assessment notices known as green cards. They show the city’s estimate of what a property would sell for on Jan. 1. It’s a critical step in determining a household or business property tax bill, which pays for essential city services such as police, firefighters and snowplowing. This year, those with significant damage from the 7.0 earthquake may be asked to pay less. In recent weeks, property appraisers worked with building-safety officials to identify damaged buildings. Officials have been using a system of green, yellow and red tags to indicate damage. Red-tagged buildings are unsafe to enter; a yellow tag means limited occupancy. About 275 letters were mailed to owners of properties tagged as yellow or red, according to Jack Gadamus, the city assessor. The letters urge the owners to contact assessors about significant damage that may affect property value. Documentation will be necessary, Gadamus said. The deadline to appeal an assessment is Feb. 14. After that, the assessment is set for this tax year. “The window is now to appeal,” Gadamus said. The city assessor’s office is bracing for more appeals than usual this year. In spring 2018, the division processed just more than 350 appeals. Most are handled without going to the city board that handles valuation issues, called the Board of Equalization. But during a recent Anchorage Assembly work session, Assemblyman Fred Dyson of Chugiak-Eagle River speculated that “thousands” of appeals could flood in. As of Jan. 18, more than 10,200 homeowners had applied for individual assistance grants through a state disaster relief program, according to Jeremy Zidek, a spokesman with the Alaska Division of Homeland Security and Emergency Management. Gadamus said it’s still early but his office has noticed a spike in calls. A handful of property assessments were adjusted before Jan. 1 based on earthquake damage, Gadamus said. But data trickled out slowly, and damage may not be visible to assessors as they drive by, Gadamus said. City inspectors are also still working through a backlog of about 1,000 properties. Earthquake damage is unlikely to make a significant dent in an overall trend of rising home values, Gadamus said. Anchorage has roughly 86,000 parcels with at least one building on the lot, Gadamus said. Overall, the city’s inventory of residential property is worth about $26 billion. “It’s just such a small portion right now, I don’t see that being very significant at this point,” Gadamus said. 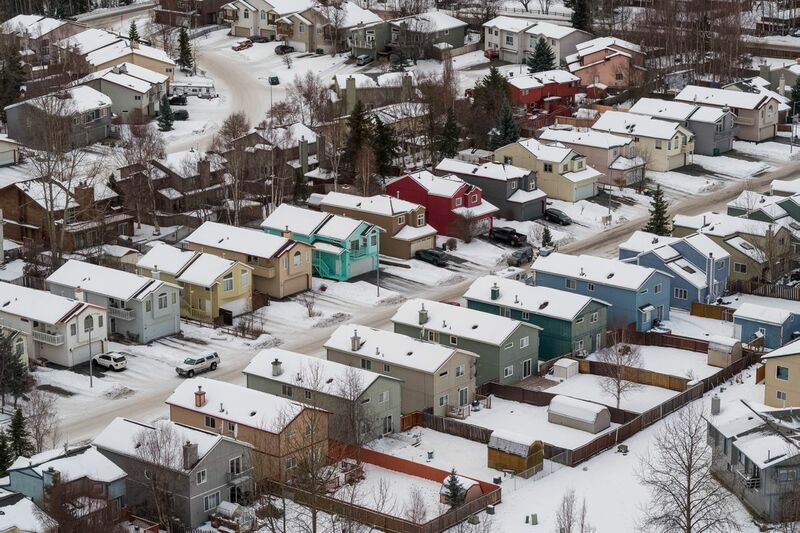 As of Jan. 1, Anchorage home values were estimated to have increased 1.7 percent on average in 2018, not including new construction, according to data collected by Gadamus. The slight boost comes after a dip in 2017. 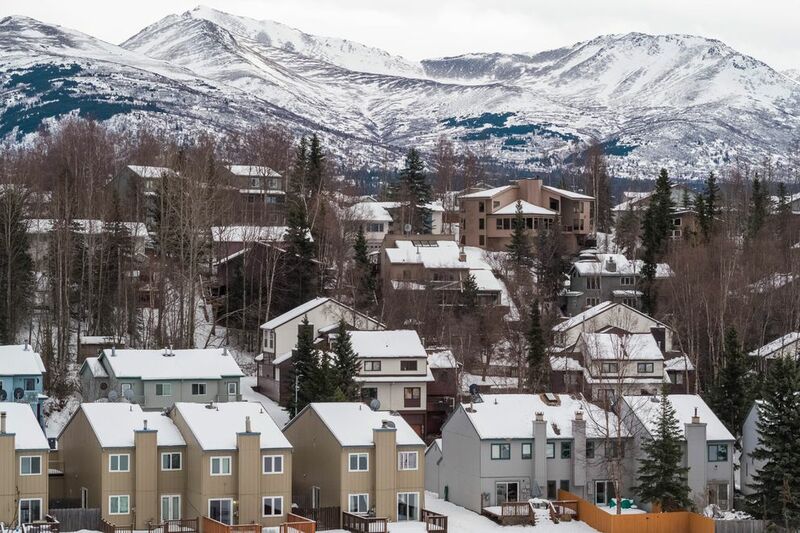 Home prices have generally stayed stable since the Alaska recession began in 2015. While Anchorage’s population has declined, there hasn’t been a flood of homes on the market, Gadamus said. Commercial property values rose a bit less than 1 percent, not including new construction. Hotel values dropped 6 percent overall in 2018 based on a three-year trend of stagnating revenue, which might be a result of higher competition, said Brent Schlosstein, the deputy director of the property appraisal division. Property values factor in a mix of other economic data, like rising interest rates and inflation, but also growing consumer optimism and tapering job losses, Gadamus said. It’s been some time since Anchorage has seen a construction boom. An 18 percent spike in new commercial construction in 2018 was mainly due to a few large projects, including a new Alaska Airlines hangar, a new Odom distribution center and several new hotels, Gadamus said. The level of residential construction in 2018 was on the same level as the late 1980s, the state’s last major recession. Home values fluctuate across a municipality that spans 2,000 square miles. Girdwood home values continued a rising trend in 2018, along with Chugiak-Eagle River and South Anchorage. Northeast Anchorage, including Fairview and Mountain View, saw a dip, while downtown saw almost no change, according to the city data. While managing assessments, the city assessor’s office has also been scrubbing its list of tax breaks awarded to seniors, veterans, residences and nonprofits. Those exemptions have gained scrutiny in recent years from policymakers. Roughly 67,000 tax exemptions were listed on tax rolls last year. For a variety of reasons, a property owner may be receiving an exemption they are no longer entitled to, Gadamus said. In some cases, a person is no longer living in their house for more than 185 days per year, or bought a new home and is renting out the old one, Gadamus said. Assessors check records like Alaska Permanent Fund dividends and mailing addresses to look for red flags. Over the past two years, assessors have added about $100 million to the city’s base of taxable value by eliminating tax exemptions that weren’t valid, Gadamus said. A recent internal audit by the city highlighted some of the problems. In a review of 158 properties registered with the city treasury as “vacation rentals,” nearly a quarter received residential property tax exemptions, auditors found. For 11 of those properties, the entire property was advertised as a vacation rental, the audit found. In other cases, the files for nonprofit exemptions failed to have enough documentation to prove the exemption was warranted, the audit found. Older files tended to lack the documentation, according to the audit. The assessor’s office routinely fails to meet a legal requirement to review all of the tax exemptions each year. The office would have to dedicate between two and three staff members to it, the auditors were told. Gadamus said his office simply doesn’t have the resources and would prefer to review exemptions on a six-year cycle. In a recent work session, some city Assembly members suggested changing the law to give assessors more time.